This was a light and satisfying dessert to complete our Christmas dinner menu. When we ate leftover Chocolate Chill the following day it tasted better to me. I suggest making the puree about 24 hours before you intend to serve it, adding the nuts and berries at the last moment. Soften the butter or gently melt it over mild heat and add the cacao powder. Mix well to dissolve the cacao. Add the stevia, baking soda, and salt and mix well again. Allow this mixture to cool but not to solidify. 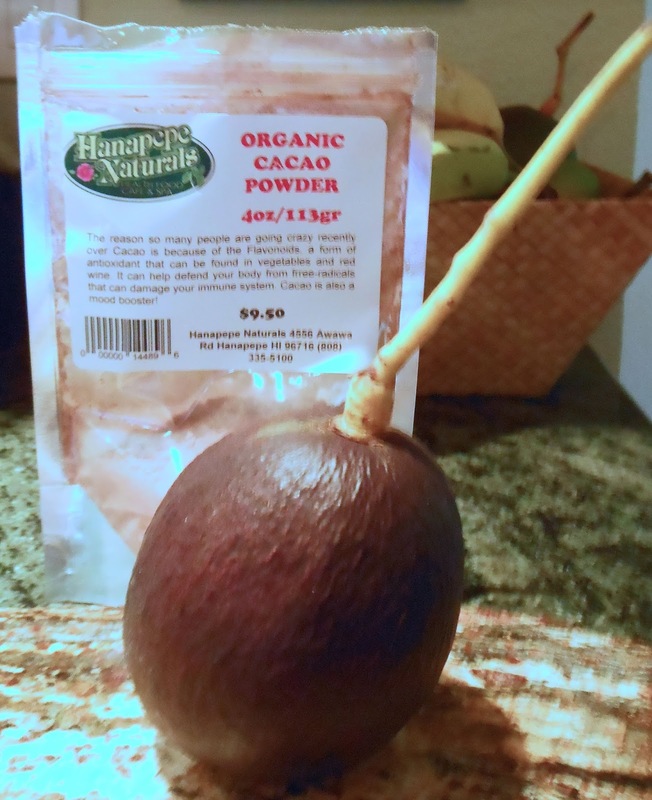 In a blender or food processor, puree the avocado with the cacao mixture until it is completely homogeneous. Chill the blended mixture in the refrigerator for up to 36 hours. At least half an hour (and up to two hours) before serving Chocolate Chill, heat an oven to 175°C (or 350°F) and toast the macadamia nuts for 5 min. Chop the nuts into smaller pieces and place them in the refrigerator to cool. Immediately before serving, mix the macadamia nuts and the frozen blueberries into the chocolate mixture.